Are you looking for a site where you can chat with random people and eventually get to know them and meet up in the future? Is this the reason why you’re at this ChatApp review? Well then, you have come to the right place because I have everything that you need about ChatApp. Nowadays, people are glued to their laptops and Smartphones every single day. It’s no wonder that they are meeting potential dates online as well. With the use of the internet today, it’s no wonder that everything is made more accessible for everyone. This includes finding a potential date that they can chat or flirt with. Also, this is the reason why more and more online dating sites are popping today to cater to the high demands. One of the dating sites today is ChatApp and reading the review below before hitting that sign up button would be best. 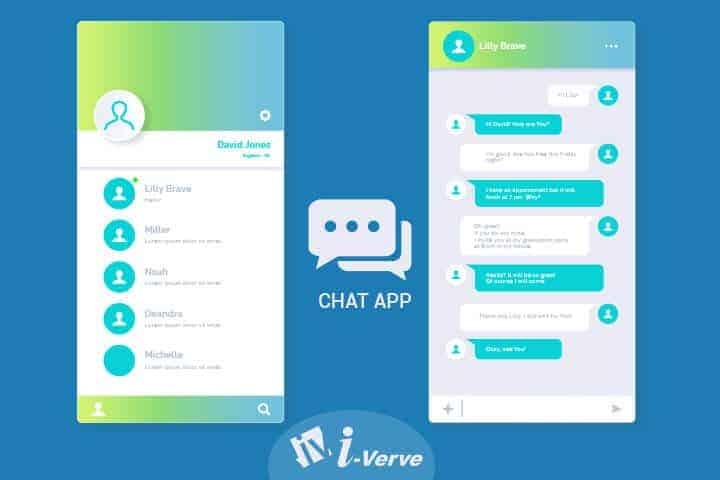 ChatApp was established in the year 2017, and they are quite similar to most social network sites today. Members sign up and start looking for people that they can chat with. It’s a location-based site, where people can chat with people who are just around their area. The site welcomes everyone on their website, whether you are straight, lesbian, gay, or bisexual, you will surely have a place on ChatApp. Signing up on ChatApp is quick since you have the option to sign up using your Gmail or your Facebook account. The process will take a couple of minutes which means that you won’t spend so much time on the page. You also have the option to sign up using your email address depending on your preferences. Just make sure that it is a valid email address so you can validate your account immediately. After the verification process, the next thing that you need to do is to complete your profile. Your profile will need to include your gender, the gender that you are interested in, the kind of relationship that you’re looking for, and your age. You have the option to edit your information if you want to later. Another good thing about the profile on ChatApp is that they will allow you to write something about yourself so people can get to know you. Once all of the information is done, you can now upload a recent photo of yourself. You can upload a couple of pictures if you want. As the name says, you can chat with members on ChatApp. You can communicate with them by commenting and liking their photos. Also, you can also send them a private chat message if you want and this is for free. ChatApp will let you send a wink to a member if you are unsure on what to say. As a member, you have the option to respond to a message or ignore it. When ignoring a message, the person will automatically be blocked. If you don’t intend to block the person, you can go the blocked users so you can unblock him or her. You have the option to add photos and add them in your private album. The images from this album will only be seen by members that you approve of. They need to have a certain amount of credits so they can access the album. You can unlock the album using your credits and once done; you can view the images and rate them as you please. This is a great feature to protect the privacy of members on ChatApp. Just like in most social media sites, you can also post a status or anything that is on your mind on ChatApp. Some members love asking questions so they can ask the opinions of other members on the site. You can also post interesting contents so other members can get to notice you. They can comment on your post, or they can directly send you a private chat. Of course, you can also do the same. Using the credits that you have purchased on ChatApp, you can travel the world virtually. This means that you can set the location as to where you want to chat. You will be able to chat with the locals of that area for 24 hours. This feature is a good way for you to talk to different people with different culture. Mingling with others will surely help you to catch that potential match. Just like in other social media sites, you can like or dislike photos on the profiles of the members. This is an excellent way to show that you’re interested in that member. If that person wanted you back, then ChatApp will create a match, and both of you can start chatting. When it comes to the security and privacy on ChatApp, you are rest assured that everything here is kept securely. ChatApp values their members’ security and privacy and they will never sell your information with other people. Also, if you encounter a member that is offensive then reporting that member would be best. ChatApp will conduct an investigation and will provide them with the proper sanction. I was nervous at first but once I learned to trust my instincts. With all these being said about ChatApp, I can safely and confidently say that signing up on ChatApp is a good idea. If you want to chat with someone who is near your location, then ChatApp is for you.